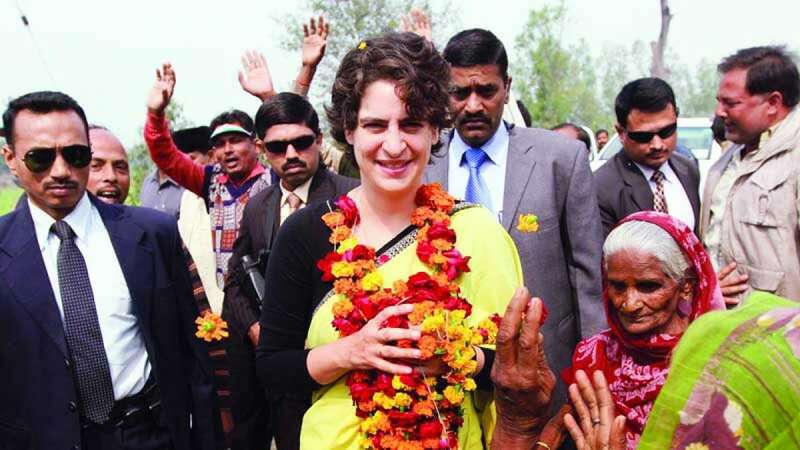 New Delhi : Congress' all new hope Priyanka Gandhi Vadra will kickstart her bid in the Uttar Pradesh today (February 11) with an aim to bring maximum votes in her favour in upcoming Lok Sabha Election 2019. Two weeks ago, Rahul Gandhi and her brother had announced her official entry into the politics as the party's general secretary in-charge of eastern Uttar Pradesh. Along with Priyanka Gandhi, the party's western Uttar Pradesh in-charge Jyotiraditya Scindia will also be present at the occasion. "Tomorrow, I hope that we can all come together to bring about a new kind of politics. A kind of politics in which all of you will be stakeholders. A kind of politics in which the voice of my youth friends, my sisters and the poorest of the poor will be heard," she told supporters through the party's Shakti App on Sunday. Well, Congress, on the other is putting all its efforts to make it a grand memorable event. According to the information, the party has organised a 30 km long rally from Airport to the party office proceeding through some of the most congested areas of the city - garlanding statues of Mahatma Gandhi and BR Ambedkar along the way. After she reaches the party office, Priyanka Gandhi and other Congress leaders are scheduled to hold a press conference, likely at the new media centre. In 2014, Congress had managed to bring up only two seats; this time the party is betting hard on Priyanka Gandhi to see some respectable figures in the upcoming General Elections.